Janet’s practice includes colonoscopy and the management of all colorectal conditions, including colorectal cancer, inflammatory bowel disease, anorectal and pelvic floor disorders. Bowel symptoms are common, and Janet’s expertise is in assessing these symptoms, investigating appropriately, and treating her patients, including surgery if required, with care and judgement. Originally from Scotland, Janet undertook her medical degree at Cambridge University and King’s College Hospital, London. She began her surgical training in the UK, which included a postgraduate research degree in colorectal cancer, before moving here with her New Zealand husband, also a surgeon. She went on to complete her surgical training in New Zealand, with specialist training in colorectal surgery in Auckland and Melbourne. She is a member of the Colorectal Surgical Society of Australia and NZ, and a NZ Conjoint Committee accredited colonoscopist. 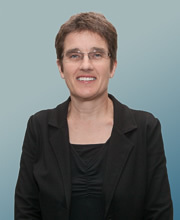 In 2001, Janet was appointed Consultant Surgeon at Tauranga Hospital, becoming the first specialist colorectal surgeon in the BOP. Over the last 15 years, she has been busy looking after colorectal problems in the Bay. Her private consulting rooms are at 138 Fraser Street, and she performs both endoscopy and surgery at Grace Hospital. Janet enjoys family life in Tauranga. She is also a volunteer administrator and judge for the sport of canoe slalom, from the safety of the bank!